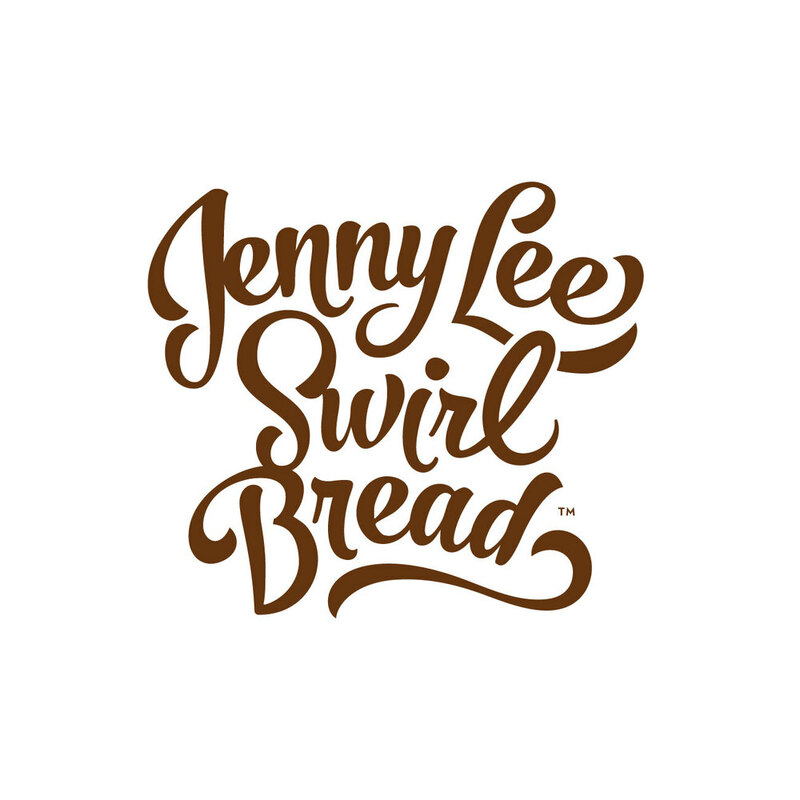 Jenny Lee Swirl Bread has been a Pittsburgh favorite since 1941, but the brand's image wasn't keeping up with its competitors. Hampton Hargreaves developed a new identity and packaging system to revitalize the product line and create a design that would resonate with new audiences — all while maintaining a solid connection to the brand's storied past. HH preserved Jenny Lee's original hand drawn script concept, but brought the mark into the 21st century. The forms were completely reworked to give them more presence and movement — suggestive of the bread’s rich cinnamon swirls — while simultaneously maintaining readability. The new mark provided the anchor for a complete redesign of Jenny Lee's packaging. By using a simplified layout, generous white space and a restrained color palette, the brand is once again the hero. The new design also improved flavor recognition by stripping away unnecessary noise. From flavor descriptions to call-outs, every inch of the bag was reworked to better communicate Jenny Lee's quality and history. Typography reminiscent of the early 1900s gives the design a nostalgic feel. A nod to the past can also be found on the bag's tail which features the Jenny Lee silhouette. HH also improved the package's shelf performance by adding a printed bottom, ensuring brand visibility at all times. The dramatic redesign gave Jenny Lee a fresh look and the functionality needed to attract new generations of cinnamon bread fans.